This all-new hatchback entry luxury car from Infiniti is actually a Mercedes A-Class with unique sheet metal. It carries Mercedes DNA down to the cruise control stalk, 7-speed dual clutch transaxle, front-wheel-drive and the 2,0 turbocharged four-cylinder. Expect to see it this Fall. 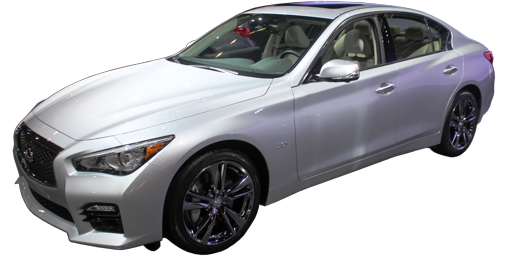 The Q50 was a complete departure from Infiniti's previous home run, the G; the only thing it kept was the 3.7 V6, a jewel of an engine. For 2016 that changes, but it might be for the better. A trio of turbocharged engine replaces the normally aspirated power plant, giving us the Q50 2.0t, 3.0t and S3.0t. The 2.0t uses a Mercedes 2.0-liter four-cylinder turbo with 208 horsepower. This engine comes with automatic start-stop to improve city fuel mileage. 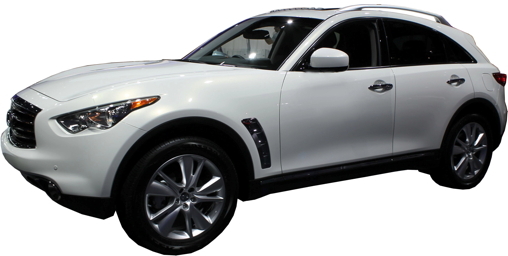 The 3.0t offers a new all-aluminum twin-turbocharged V6 with 300 horsepower; related to the VQ 3.5 and 3.7 V6 engine family, it is coded as a VR engine. With 400 horsepower the Red Sport 400 offers the same engine with a lot more turbo boost. The optional Hybrid powertrain remains the same, making 360 combined horsepower. Then Q50 is a rear-wheel-drive car, and all-wheel-drive is offered with all of the four engines. Another addition to the Q50, first time use of electronically adjustable shock absorbers on an Infiniti. Dubbed Dynamic Digital Suspension, it can vary shock absorber stiffness by driver command and through a variety of sensors in order to give a more supple ride without adversely affecting handling. The optional Direct Adaptive Steering has been "enhanced ...after gathering customer feedback." Translation: "Everyone hated this steering system so much we had to try and fix it." Universally panned for being worse than the standard steering system (itself not as good as the G-Sedan's), lots of feel and feedback has been added to the revised steer-by-wire system. The Drive Mode Selector lets driver's choose different levels of Steering, suspension, engine and transmission sportiness, or each can be individually tweaked. What stays the same: the interior, safety features, exterior (except for new badges), the brakes and the 7-speed transmission all carry-over from last year. 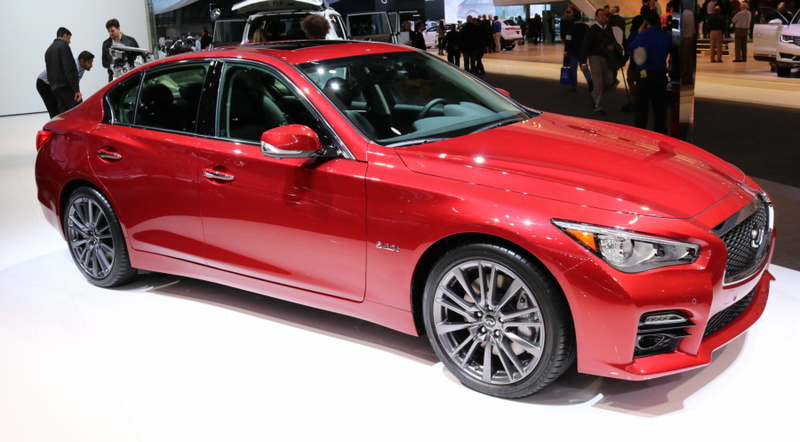 This all-new replacement for the previous Q60 (which was just a renamed G37 Coupe) is based heavily on the Q50 sedan. Let's hope the driving dynamics have been heavily improved. It gets the same three turbocharged engines as the 2016 Q50: 2.0t, with a Mercedes 2.0-liter 208 horsepower four-cylinder; 3.0t with a 300 horsepower 3.0 liter V6, and an extra boosted V6 with 400 horsepower. 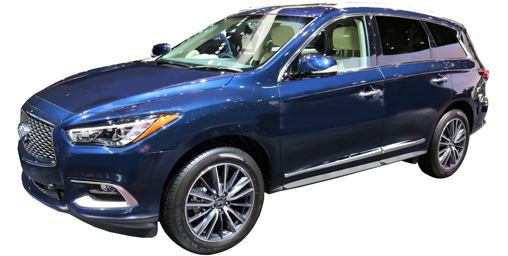 All are connected to Nissan's 7-speed automatic transmission and drive the rear wheels; all-wheel-drive is optional. 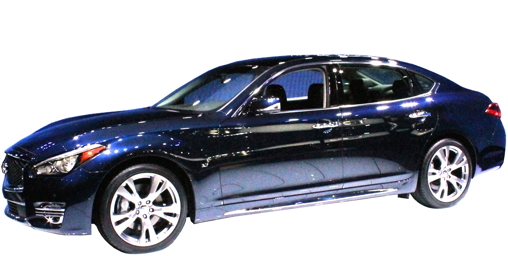 Like the Q50, the Q50 will offer an optional Dynamic Digital Suspension and Direct Adaptive Steering. Users can vary the feel and sportiness of the car's reactions including steering feedback, suspension stiffness, throttle response and shifting dynamics. 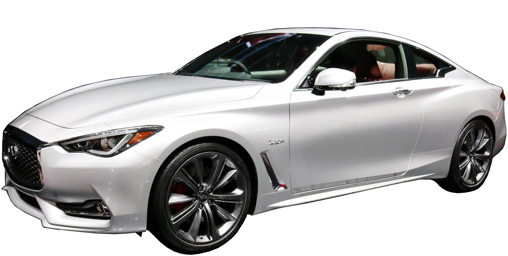 No word on a Q60 Convertible, yet. A front sonar parking system has been added to the optional rear parking sonar. 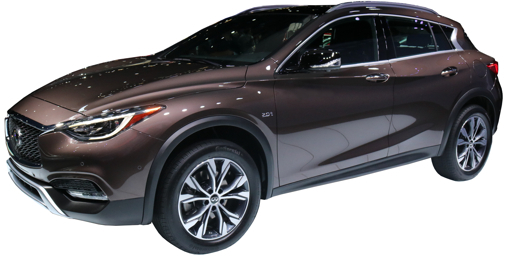 This is basically just an all-wheel-drive version of the Q30 hatchback. 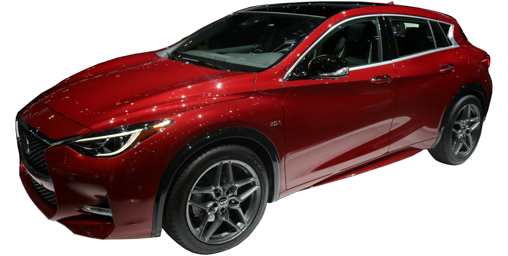 Similar to the Mercedes GLA250, it uses the same 208-horsepower 2.0 turbocharged 4-cylinder, adding all-wheel-drive and a higher ground clearance. 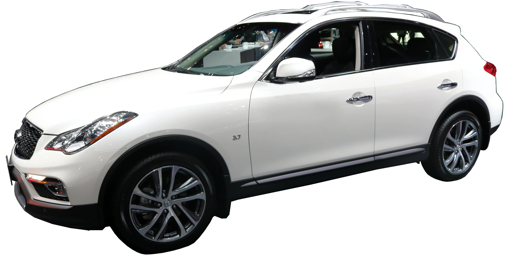 The QX50 has a new longer chassis with a wheelbase over three inches longer and an overall length four and a half inches longer than last year. Rear legroom, which was very tight in the old model, increases almost seven inches. to 35.3 inches. Heated seats are now standard on all models. Minor tweaks to the exterior styling include more rounded front sheet metal, new headlights, a new grille, new taillights hatch and rear bumper. Several tweaks have helped make the inside quieter and improve handling and ride quality; notably, the steering ratio is a lot quicker this year. It is still offered with a 3.5-liter V6 or a strange supercharged 4-cylinder hybrid powertrain. Front-wheel-drive is standard and all-wheel-drive is optional. Basically a much classier Nissan Pathfinder. 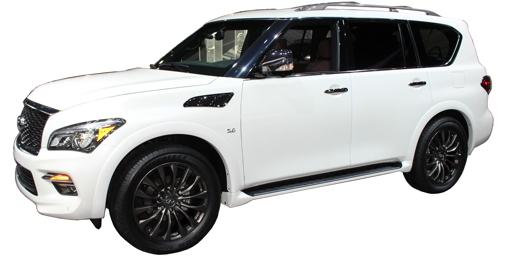 A Signature Edition with special trim, the Driver's Assistance package, and chrome mirror caps is limited to 1000 unites. Please, no trampling each other.